Last week’s announcement that Malala Yousafzai was awarded the 2014 Nobel Peace Prize was particularly exciting for everyone here at WORZALLA, since we recently completed the printing and binding of a new book for Random House Children’s Books — Dear Malala, We Stand With You (by Rosemary McCarney and Plan Canada). Watch for this title to be released October 28, 2014. Malala Yousafzai was just 15 years old when she was shot by the Taliban in October of 2012 for campaigning on behalf of girls’ education in the Swat Valley of Pakistan. Her tragedy and survival has had the most amazing outcome — empowering girls around the world to raise up from poverty, violence and oppression and become a catalyst for change. The United Nations declared July 12, 2013 (Malala’s sixteenth birthday) the first Malala Day, inviting 500 young people from around the world to the UN to “take over” for the day. As part of the celebration, young girls participated in a short film — in the form of their letters to Malala — sharing how important a symbol she was for them in their lives. 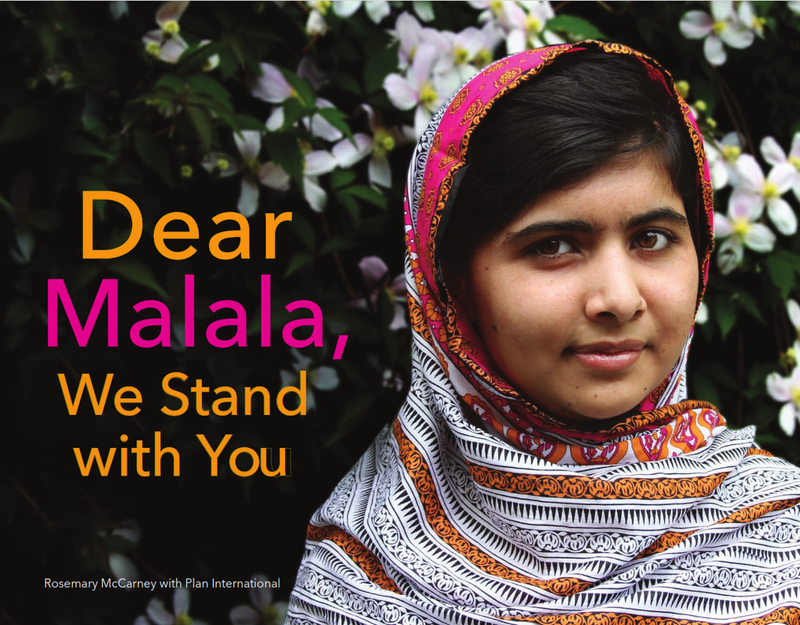 This warm and powerful video was the basis for Dear Malala, We Stand With You. In support of publication, Random House Children’s Books will make a donation to Plan International’s Because I am a Girl campaign, which aims to support millions of girls to get the education, skills and support they need to transform their lives and the world around them. To read more about Malala and the Nobel Peace Prize, check out this article in the New York Times. 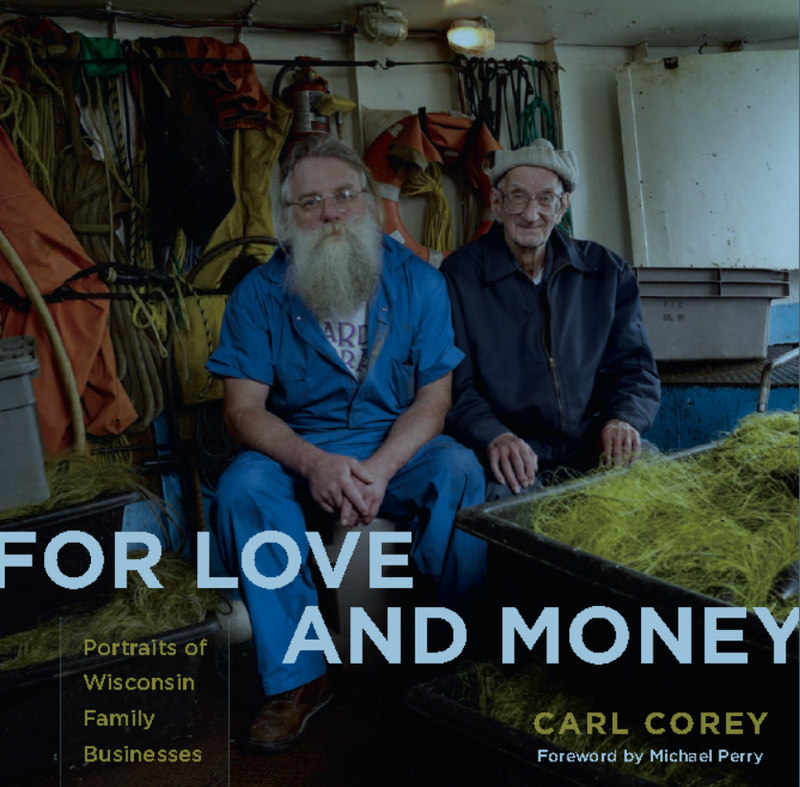 Award-winning photographer Carl Corey recently visited WORZALLA for a press OK on his new book, For Love and Money, Portraits of Wisconsin Family Businesses, published by the Wisconsin Historical Society Press. For Love and Money showcases Wisconsin family-owned businesses in existence for fifty years or longer. Through his lens and his talent, Mr. Corey provides indelible glimpses of an increasingly endangered way of life. WORZALLA is an independent, employee-owned, mid-size book manufacturer doing business in Stevens Point, Wisconsin since 1892 – the first 100 years as a family-owned business, the past 27 as an employee-owned business. We can identify with the folks in these photos, and we are proud to be the manufacturer of this book. While visiting our facility, Mr. Corey took photos of WORZALLA associates for possible inclusion in another project he is working on. Blue – A Portrait of the American Worker, is a collection of photos spotlighting the American hourly worker. Mr. Corey has photographed workers from all walks of life. We were thrilled to participate, and hope to see some of our associates featured in the final product, and of course, we hope to have the honor of manufacturing Blue when it is ready to go to press. To learn more about Carl Corey and Blue, visit his website! For Love and Money will soon be available for purchase through the Wisconsin Historical Society Press.